Click Here to Email your request for scheduling a party! Tub to hold shoes, etc. All of this for only $80.00 for 10 Skaters for an Afternoon Party or $80.00 for an Evening Party! Only $8.00 for each additional Afternoon skater or $8.00 each additional Evening skater. Does this sound like a great party or what! And you get it all for only $80.00 for 10 skaters, and $8.00 for each additional skater. Perfect for Youth Groups, Scouts, Church Groups, School Trips, Daycare Trips, Family Reunions, Large Birthday Gathering, Business Gatherings and More! We'll Play Your Music to Skate to! Private Parties may be scheduled for any 2-hour time period that we do not have public skating. Saturday or Sunday 11:am to 1:pm or 4:30 - 6:30 p.m.
Other times may be available, please inquire! 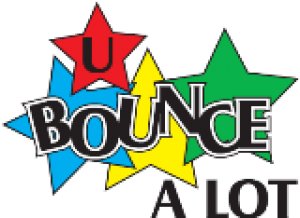 Bounce-A-Lot Private Parties Come and bounce on all things inflatable! Glow Lanyard & Spin on Wheel. and choice of cars to drive or Joust. Obstacle Course & Slide just to name a few! Come and Drive a Pedal Car or Flying Turtle around the Track! KIDS 12 AND UNDER ONLY!